WASHINGTON — The Supreme Court heard arguments on Monday in a voting-rights case with several unusual twists, including disagreements among Virginia officials about who was entitled to represent the state. 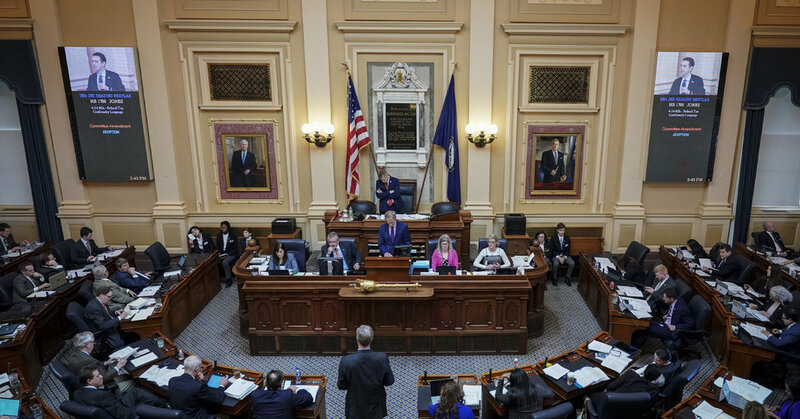 The case, a race-discrimination challenge to parts of the voting map for Virginia’s House of Delegates, was making its second appearance at the court. In 2017, the justices instructed a three-judge Federal District Court to take a fresh look at whether racial consideration had played too large a role in drawing the legislative map for the state’s House of Delegates. The case concerns 11 voting districts drawn after the 2010 census, each with at least a 55 percent population of black residents of voting age. Democratic voters in those districts sued, saying that lawmakers had run afoul of the Constitution by packing too many black voters into the districts, diminishing their voting power. The district court, which had initially upheld the districts, struck them down last year. Marc E. Elias, a lawyer for the challengers in the Virginia case, said that “a one-size-fits-all, 55 percent racial rule” was unlawful. While minority groups must be given the chance to elect their preferred candidates, he said, a uniform statewide threshold was not appropriate. Paul D. Clement, representing the House of Delegates, said 55 percent was “exactly the right number” to ensure that black voters did not lose voting power. The case, Virginia House of Delegates v. Bethune-Hill, No. 18-281, featured an unusual squabble among state officials. Toby J. Heytens, Virginia’s solicitor general, said the House was not authorized to appeal to the Supreme Court from the district court’s decision. That decision belonged to the state’s attorney general, and he had decided not to appeal, Mr. Heytens said. Justice Stephen G. Breyer suggested that politics can play a role in litigation strategy. The House of Delegates is controlled by Republicans, while Virginia’s governor and attorney general are Democrats. Morgan L. Ratner, a lawyer for the federal government, agreed that the House of Delegates did not have standing to pursue a Supreme Court appeal. Justice Samuel A. Alito Jr. responded that only slight direct harm to the House might be enough to establish standing, like the need to order new stationery.